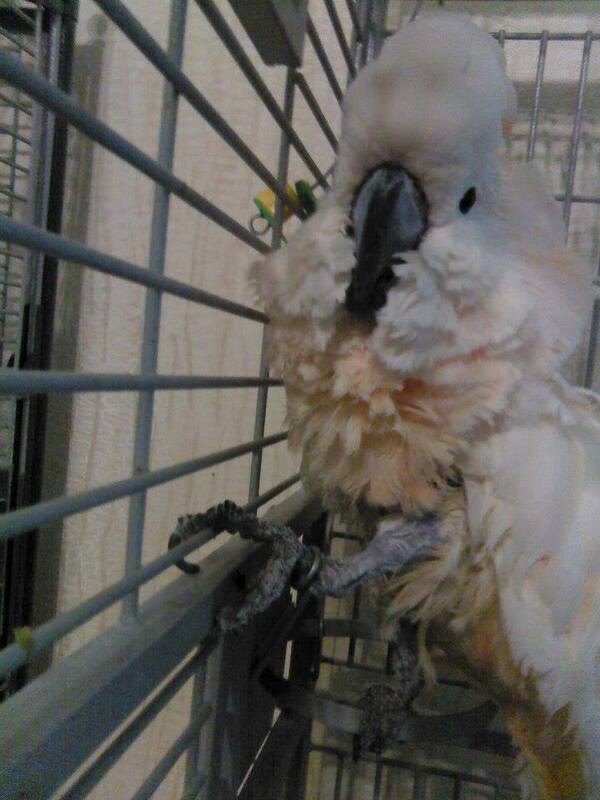 This story was shared by Luci Salzman, she rescues birds who are special needs. She is also a former Veteran Service Officer and works to help those humans in need also. This very short story touched my heart so deeply, that I truly knew it needed to be shared. This is a true testament in the power of words from one Feathered Angel to one of our Human Angels. I’ve had the most awesome gratifying phone call this morning. The picture is Seram. He’s wild-caught, was chained to a perch and has permanent nerve damage in his feet, still plucks and mutilates once in a while. He also has PTSD. The call I got this morning was from a soldier that had come to meet Seram. He held him and spoke to him for over 2 hours a little over a year ago. This soldier also has PTSD. I’m also a Veteran Service Officer so some of the vets in the area have my phone number. The soldier that was here kept the number in case he ever wanted to come back and see Seram again. When he called me this morning he told me that Seram saved his life. When he left my house the first time he met Seram he was going to take his own life. He didn’t go into specifics but when he was on duty he was a sniper and he had told Seram about things he did when he was on duty. When he was done Seram told him “I Love You” I’ve never heard him. But those words made that soldier get help. What led this Soldier to go and visit Seram on that particular day….well only Heaven knows but I do hope we all take away from this very touching story what power we hold in our words. I also know that Seram knew exactly what this Soldier needed to hear and feel. To Seram I am sure they weren’t just words, they were a gift of Hope and Love.